SPRINGFIELD – State Representative Randy Frese (R-Paloma) watched Governor Rauner discuss his plans to still bring the balanced budget he promised taxpayers, while prioritizing education in a call for a clean bill, without the attachment of disagreed upon issues, in order to get education funding to school districts right away. 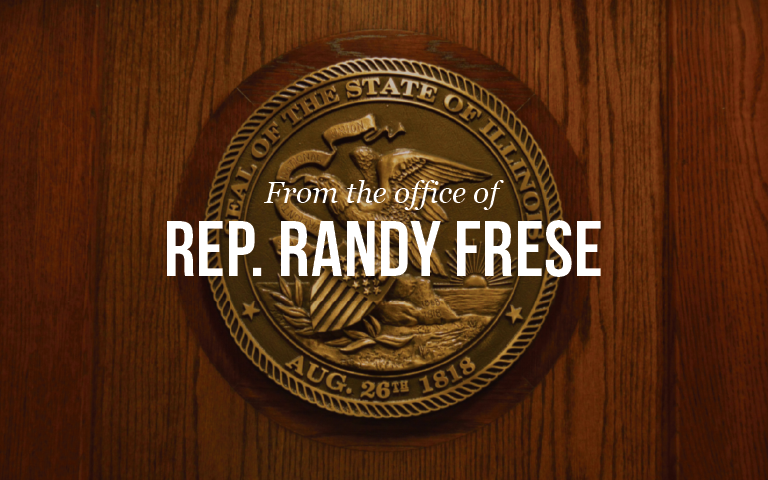 Rep. Frese stated, “The Governor has maintained that he will keep his original promise to balance the budget, and he is hopeful we can still do this by working together across party lines. I stand with his priority to get a clean bill passed by the General Assembly that funds schools in the coming school year, and leaves our children and their schools out of the budgetary impasse. “Today the Governor laid out two plans for balancing the budget. One involves working together on a comprehensive approach, and the other involves him being given the executive power to draw the balances himself. Either way, we need to act, and once the Democrats get serious about planning a properly balanced budget, we can begin an inter-related process of structurally reforming the budget to boost economic growth and drive down costs.